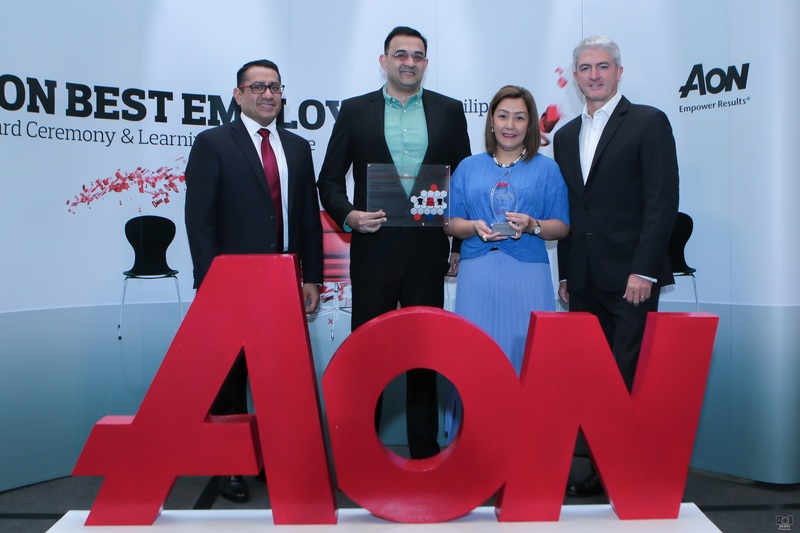 As a testament to the company’s caring culture, leading business process and digital solutions company TELUS International Philippines was presented the Aon Best Employer Philippines 2018 award as part of the Aon Best Employers program. The Aon Best Employers program evaluates employee opinions to measure engagement, leadership, performance culture and employer brand. With almost 20 years of experience in best employer studies across the world, and backed by more than 40 years of experience in employee research, the Aon Best Employers program compares organizations to identify those that strive to create a competitive advantage through their people and become employers of choice. “On behalf of the more than 13,000 TELUS International Philippines team members who embody the TELUS values and our company culture every single day, and who make TELUS International one of the best places to work, thank you for this recognition,” said Rajiv M. Dhand, TELUS International Philippines’ Regional Vice-President and General Manager for Operations. To achieve recognition through the Aon Best Employers program, TELUS International Philippines was assessed on four measures: Engagement Index: employees speak positively about their employer, intend to stay and are motivated by their employment experience to do their best work every day. Leadership Index: leaders clearly define the vision for the future, recognise employees’ critical importance and lead them to success. Performance Culture Index: employees are aligned to company goals and are rewarded and recognised for their contributions. Employer Brand Index: employees are proud of the company they work for and know what makes their company distinctive as a place to work. TELUS International Philippines achieved outstanding results in all Aon Best Employers Indexes, clearly winning the hearts and minds of their team members who rated the company among the top organizations in the four areas used for the awards evaluation measures. “We are humbled to receive this award and we look forward to finding many more ways to engage our team members and exceed the needs of our customers,” says Dhand. About TELUS International Philippines TELUS International Philippines, Inc. is a leading Philippines-based provider of digitally-enabled customer experience and business process solutions and a proud member of the TELUS International family. TELUS International focuses on human connection and innovation to deliver exceptional customer service and Next-Gen digital consulting that wow clients and delight their customers. More than 30,000 employees around the world, from locations across North and Central America, Europe and Asia, enable over 200 million customer interactions annually via voice, email, chat and social media, across fast-growing tech, financial services and fintech, gaming, travel and hospitality, and healthcare industries. TELUS International enables customer service delivery innovation through spirited teamwork, agile thinking, and a caring culture that puts customers first. The company serves clients in over 35 languages. TELUS holds a 65% interest in TELUS International with Baring Private Equity Asia holding the remaining 35%.